Our system will direct you to prestigious lenders offering great mortgage refinance rates at no cost to you. Find out more info on possible mortgages for refinancing all types of credit. One of the reasons why mortgage refinancing is so popular is that is gives people the power reduce their housing expenses when borrowers achieve a lower interest rate. Are you looking for a way to save money with a mortgage refinance loan? In many cases, home refinancing has proven to be a powerful and effective method for homeowners to save money. Now you can go online and compare refinance mortgages like FHA, VA, conforming home refinancing. We also offer jumbo refinance loans with low rate refinancing and fixed rate home mortgage loans for all types of credit. Learn more about mortgage refinancing for homeowners with bad credit and first time home buyers as well. We can match you with preferred mortgage refinance lenders that are excited to earn your business with competitive interest rates and expert advice. Learn more about several new mortgage refinance initiatives insured by the government in an effort to stem foreclosures. 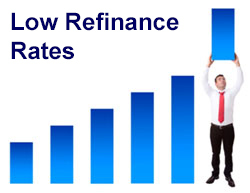 These refinance loans require no equity and no loan to value restrictions. As rates on refinance mortgages continue to hover in the record low range, the ability for homeowners to save money by reducing their housing expenses via refinancing has never been more evident than today. The option for no cost mortgage refinancing has become a popular choice because rates are so low and it helps borrowers preserve capital. Talk with a loan officer about program requirements and your eligibility. Government refinancing provide several competitive products for homeowners: The FHA Streamline enables existing FHA customers to refinance with a reduced cost loan for a lower rate. Cash out refinancing with FHA allows borrowers to consolidate debts and refinance up to 85% loan to value. Mortgage refinancing is encouraged up to 96.5% with FHA if no cash back is needed. The most popular VA refinance is the streamline that enables savvy veterans to skip one or two mortgage payments after refinancing. Conventional programs encourage borrowers to acquire a fixed mortgage refinance lien that meet the loan guidelines outlined by Fannie Mae and Freddie Mac. Select from refinance mortgage terms like FHA, cash out, interest only or a negative amortization features. Applicants can choose between 10, 15, 30 or 40-year terms with many of fixed rate mortgage refinance programs. In March, Freddie Mac reported that 30-year loans were averaging 3.75%. If you have an interest rate above 4%, you would wise to consider refinancing now while mortgage refinance rates are at record lows! It's not too late to refinance and lock into low rate mortgage. Refinancing is one of the most effective ways for homeowners to effectively lower their monthly payments, improving cash flow and financing home remodels. Whether you need money or a lower payment a mortgage refinance loan provides many opportunities for homeowners to improve their financial situation. Savvy borrowers understand that a mortgage refinance with no closing costs will save them money and enable them to maintain their existing mortgage balance. With our lenders, their first priority will be to uncover the best opportunities for homeowners to reduce housing expenses. Our participating mortgage refinance lenders provide many loan programs for so that 1st or 2nd loans can be combined together for simplicity and reduced housing expenses. Thousands of our clients have successfully combined their credit line or equity loans together with their new mortgage for one payment that is lower than the original mortgages and the terms were improved with guaranteed fixed interest rates. For the last few years, mortgage refinancing insured by the FHA has supported most of the country for cash out and interest rate reductions. With the Federal Housing Administration, refinancing is possible, even with low credit scores. Financial experts suggest that refinancing mortgages together can save thousands of dollars a year simply by refinancing both secured liens into one loan with a reduced fixed rate. Refinancing your high rate installment loans and revolving credit cards is bound to save you more money per month when doing the math with the formula calculated by simple interest. Government mortgage refinancing has been making a strong comeback again with the Federal Housing Administration extending new opportunities for many borrowers looking to convert their ARM into a fixed rate loan. In some cases, FHA offers refinancing guidelines that are less strict than your traditional Fannie Mae or Freddie Mac loan product. Credit scores are not a factor with some government loans, so if your credit score is not great, then consider FHA refinancing mortgages. Take advantage of our home lending expertise and lock the interest with low rate refinance mortgages for people with all types of credit. Our refinance mortgages remain competitive with mortgage rates and closing costs, and you have the option of rolling any refinancing fees into the loan, so you will not have to bring money out of your pocket. Learn more about qualifying, eligibility and mortgage refinancing requirements with FHA. Refinance into a Fixed Rate Mortgage! Timing the market for refinancing with the lowest interest rates is about as easy as timing the stock market to get rich. There are so many external factors involved in interest rates for residential properties that we recommend not trying to time the market. In most cases, borrowers end up settling for a higher interest rate, because they wait too long for the mortgage rates to drop. Consider all options when borrowing against your home with a mortgage refinance. If you can save money today and refinance with a fixed rate that lowers your payment and gets you the cash you need now, then talk with a loan officer today about locking your rate. A few years ago, the Obama Administration released the HARP program that enabled distressed homeowners to get help with mortgage refinancing even if they were underwater. The program allowed people to refinance up to 125%, but it wasn't enough. The Obama mortgage refinance program sought to dig deeper and reach out to more struggling borrowers. The New Home Affordable Refinance has no loan to value restrictions. That means that no matter how underwater a homeowner may be they can refinance into a lower payment. The HARP 2.0 should help a lot more borrowers meet the refinance requirements. Obama extended the HARP refinance to FHA loans as well. Previously only borrowers that had a mortgage owned by Fannie Mae or Freddie Mac could qualify for the no equity refinance loans under the HARP program. Loan officers must have sold a borrower's mortgage to Fannie Mae or Freddie Mac on or before May 31, 2009. The Loan to Value must be higher than 80%. Home loan payments cannot be late. Guidelines stipulate that no late payments can have occurred in the last six months and no more than a one late payment in the last twelve months. The lien in question cannot have been refinanced through the Home Affordable Refinance Program already, unless it was a Fannie Mae lien that was refinanced between March 2009 and May 2009. Many of our participating mortgage refinance lenders offers competitive rate opportunities for qualified borrowers to get cash out, consolidating debts, and making home improvements. Ask about prime rate loan programs for refinancing your 1st or 2nd mortgages. Ask our loan team about the new and improved "Band-Aid Refinance Loans" for homeowners who have low credit scores and a poor credit history but need a payment reducing short term fix. Nationwide prides itself connecting you with competitive lenders that offer some of the most affordable refinance mortgages available. Find out how our lenders have been helping Americans maintain their homeownership with refinance mortgage loans that help borrowers with bad credit or delinquent mortgage history. Most loan options allow the borrower to consolidate debt when refinancing a mortgage under a Fannie Mae, Freddie Mac or FHA program. Don't just look at the interest rate. Consider the terms. Is the rate fixed or adjustable? Make sure you are comparing mortgages that are the same loan type. (I.e. 30 year fixed). When applying for a mortgage refinance online, ask your loan officer for the Good Faith Estimate and Federal Truth and Lending Statement along with all of the disclosures required by law. What Changed with the Truth In Lending Agreement? The most significant change made in 2008 is the requirement to give applicants with another disclosure. This piece must be coordinated with the timing of settlement. Should I Get a Refinance Loan With a Fixed or Adjustable Rate? Home equity can be converted into money through one of several different instruments. The chore is to find out which one loan is right for your situation. When fixed interest rates fall to such low levels on 30-year terms, we strongly recommend locking into a mortgage refinance that guarantees a fixed interest rate for three hundred and sixty months. Is an Adjustable Rate Mortgage Refinance Right for You? If you have had problems in the past with your credit, but need to refinance your home loan or second mortgage, then you have come to the right place. Discuss your specific situation with one of the experienced loan offers. Are you ready to cash in on your home's equity and consolidate your credit cards with a second mortgage or refinance? Ask your loan officer about the expanded guidelines for 2nd Mortgage Refinancing. It's no secret that mortgage refinancing can be a wise move financially for homeowners. Here are the top 10 reason people are refinancing today. Can I Refinance My Mortgage if My Home is "For Sale"? Most conventional and FHA mortgage refinance lenders will not approve a mortgages for refinancing if their home has been listed in the last 3 months to a year. Lenders will require that your house has been off the Multiple Listing Service (MLS) for a set period. Unfortunately, most underwriters don't care if you changed your mind, and pulled your house off the market. Some Sub-prime and Alt-A lenders will entertain overlooking the initiative to sell your home if you have good compensating factors, like a good credit score, low debt to income ratio or a lengthy period of stability with the same employer. In most cases a strong letter of explanation will be conditioned for loan approval as well. Most refinance lenders considers that when someone lists their MLS, that they have no intention of keeping a new lien for very long. Bottom Line: If you need a 1st mortgage refinance or an equity loan for cash back, then wait to list your home for sale. Were you aware that consolidating credit cards with a second mortgage or a refinance loan may help you improve your credit scores with the Trans Union, Equifax and Experian? With the current refinance rate falling below 4% on thirty-year amortization schedules, you can't go wrong leveraging your debt with a simple interest mortgage. Ask your loan officer at Nationwide about the expanded guidelines for refinancing with cash & 2nd mortgages. The avg. contract mortgage interest rate for 15-year fixed-rate mortgages dropped to 2.875% from 2.75%. The avg. contract mortgage interest rate for 15-year fixed-rate home equity loan increased to 4% from 3.875%. The avg. contract interest rate for 5-year ARMs fell to 2.875% from 3%. Fannie Mae announced that it will apply new conforming mortgage limits for home purchase and refinancing, as determined by the Office of Federal Housing Enterprise Oversight based on federal data on mean home prices, to increase its single-family loan limit to $417,000 for 2006. As a result of the new loan limit, Fannie Mae estimates that in 2016, as many as an additional 466,326 homeowners would be eligible for a conforming loan. Conforming loan limits may adjust annually. The conforming limits adjustments are based on the year to year changes in the mean home price, as published by the Federal Housing Finance Board. These figures come from its monthly survey of mortgage lenders. Both new and existing houses are included in the survey. Limits for multi-unit home mortgages will be as follows: two-family loans $533,850, three-family loans $645,300, and four-family loans $801,950. The loan amount limit for 2nd mortgages will be held at $208,500. For more information Please visit fanniemae.com. "Thanks to you and your team for their friendly advice and professional attitude. We were able to put our financial plan into action with a great loan. The 30 year interest only offered me the security of a fixed rate, but the interest only payment allows me to free up some cash flow when investment opportunities arise. Thanks again for everything!" "Nobody said being a first time home buyer would be piece of cake, but Nationwide definitely made it as easy as possible." There is a lot to think about when you are buying a home, and to know someone has your back on the financing side is a real blessing. Your team was always there to answer our questions, and these days that means a lot. We now have a peace of mind and we are earning equity. Once again, Thanks!" Davia & Brett Matson - New York, NY & San Diego, CA. "What a life-Saver! You helped me clear up some accumulated debt & get some cash for some business opportunities. Your hard work and effort helped me reach my goals. The line of credit funded fast & I didn't have to jump through hoops in the process. Once again, Thanks for your help! I will be sending my friends your way." With the home financing market crashing in 2007, millions of homeowners struggled because they were unable to qualify for low fixed rate refinance mortgages as they had accesses in the past. This year the HARP 2.0 and record low rates for refinancing have helped the recovery phase kick in. The "refinance boom" continues this year thirty-year rates remain available between 3 and 4 percent according to Zillow. 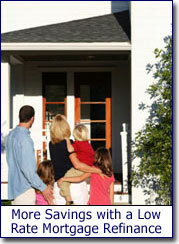 Save Money with a Fixed Mortgage Refinance Loan for Thirty-Years! 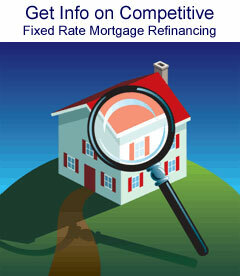 Analyze the benefits of refinancing. Get help calculating the monthly payment and discover the net interest savings. It will also calculate how many months it will take to get a return on investments for the mortgage loan costs. Take advantage of our free guides and disclosures that help borrowers make better refinance decisions. "The loan process can be intimidating, but we felt comfortable working with a financing team at Nationwide because we had friend refer us to them. After wasting a lot of time shopping online, it was refreshing to find a company that put our needs first. We lower our payments and were able to finance a remodel with the savings! Thanks for all your hard work!" At some point rates will be on the rise. Find out today's rates on Home Refinance Loans and lock into a fixed rate loan that saves you money. Millions of Homeowners Benefit from Reduced Refinancing Fees - The Los Angeles Times reported that about 3 million homeowners have an opportunity to reduce their housing costs about $1,000 a year because of lower refinance fees. The President announced significant fee reductions of government-insured mortgage refinance transactions in 2016. The government announced their plan to lower mortgage refinancing fees for FHA loans that they insure. According to HUD, fees will lowered on mortgage refinance loans that were closed before June 1, 2009. The agency believes that the average borrower would save approximately $1,000 annually as their loan payments drop. This is good news, because the FHA increased their fees and insurance rates several times in the last few years in an effort to curb defaults and bad mortgages. Big Mortgage Settlement: The U.S. Department of Justice, the U.S. Department of Housing and Urban Development and 49 state attorneys general, including those in Pennsylvania and New Jersey, have filed their $25 billion agreement with the nation's 5 biggest mortgage refinancing servicers over alleged foreclosure infractions. Most of the $20 billion settlement amount is scheduled for a mortgage refinance or a principal reduction for struggling homeowners. About 1 million customers anticipate their home loan balances to be lowered by banks or to refinance houses at lower rates. Read the original article about the Mortgage Settlement. HARP 2.0 Guidelines - After months of celebrating, the new and improved Home Affordable Refinance is being launched nationally. Many lenders are beginning to offer HARP 2 refinances, and they should be available everywhere by the end of 2016. Nationally, more than 20% of mortgage refinancing applications for the last week in February were for loans from the Home Affordable Refinance Program, the Mortgage Bankers Association says. That's up from about 10% the month before. Moody's Analytics expects 1.6 million HARP mortgage refinances by the end of 2013, saving borrowers an average $250 a month. Demand could be greater. Even with mortgage rates dipping below 4%, CoreLogic says 57% of first lien home loans had rates above 5% in December. Banks Concern of Risky Mortgage Refinance Plans -Mortgage-bond holders and analysts are monitoring the expanded program for Freddie Mac and Fannie Mae loans, being called HARP 2.0, because prepayments can erode returns. According to Morgan Stanley he damage may be exacerbated by the shrinking pool of loans with high rates that need underwriting flexibility to refinance, which increases the share of such debt erased when individual homeowners get aided. Finally, we found a loan company who was able to help us refinance! Having the ability to refinance whenever the market conditions improve is wonderful and that is exactly what Nationwide provided us with their streamline product. Thank you for delivering on what you promised! We were turned away numerous times from banks but somehow Nationwide approved us for fixed rate mortgage refinancing that saves us over $500 a month! What's not to like about no cost mortgage refinancing. BD Nationwide lowered our rate and monthly payments with no closing costs at all! We shopped lenders online for a few days, but your loan officers were so helpful getting quotes for mortgage refinancing we chose your company. Your team was helpful and we got a great loan! Please be aware that this is not an advertisement for credit. Nothing on this site contains an offer to make a specific home loan for any purpose with any specific terms. Mortgage refinancing with "Bad Credit" is possible, but consumers must meet underwriting standards for loan to value, debt ratio and minimum fico scores. This is a web-site and cannot approve refinance mortgages. Terms and rates cannot be guaranteed as guidelines for mortgage refinancing are subject to change without notice. BD Nationwide was affiliated with a federally chartered bank located in Maryland licensed to offer home loans in all 50 states. Copyright © 2001-2019, BDnationwidemortgage.com. All rights reserved. Do not duplicate in any form. Interest rates for mortgage refinancing can change without notice. 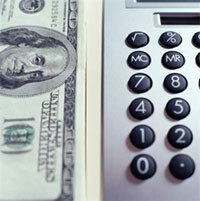 Check with lender for updated changes on programs related to a mortgage refinance.